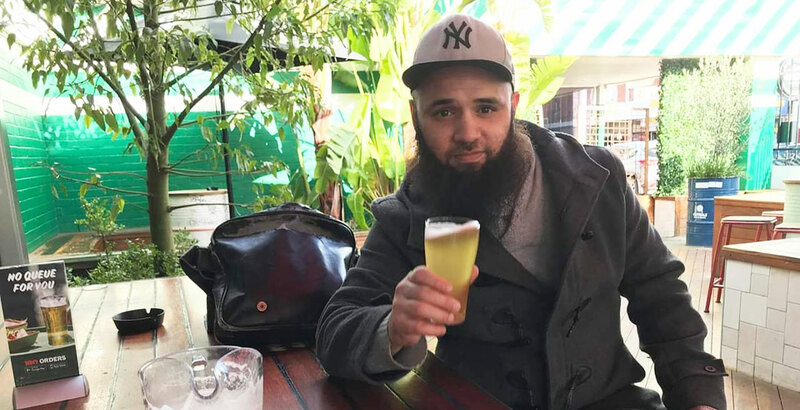 There's a good chance anyone who's a regular at beer events in Melbourne will have met Haydz Sam. 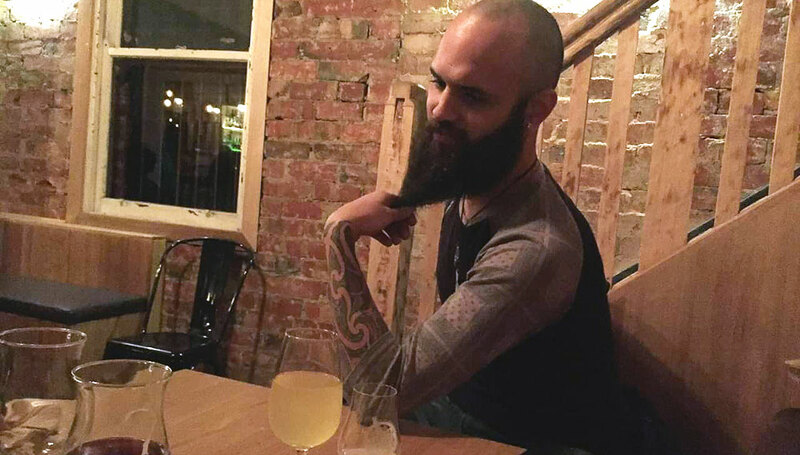 With his broad Kiwi accent, even broader smile and excitability for all things beer, Haydz is a bearded, tattooed man that still stands out in bars and breweries filled with bearded, tattooed men. 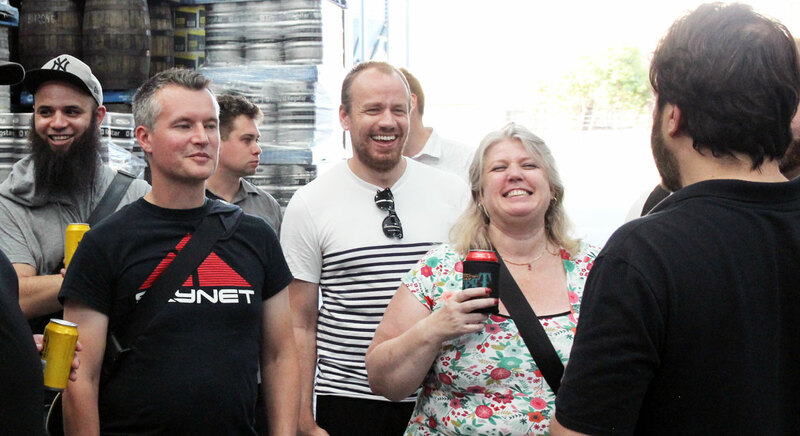 Having spent years working for some of the country's larger beer retailers, Haydz has also been at the coalface as those larger stores have started taking a greater interest in local, independent beer too. Talk to him about his love for showcasing new styles and encouraging beer drinkers to expand their horizons and you can't help but feel any pivot to local beer on behalf of the major retailers is made easier by the work of people like Haydz. With all that in mind, it felt like it was well past time that we featured Haydz as part of our ongoing Beer Nuts series. Haydz (back left) with his distinctive beard at a past Crafty Cabal event at Hawkers. I recently become a stay at home dad so I’d say avid homebrewer with a mini assistant. Would have to say “Beer Appreciator” as I love all facets of the beer industry from the beginning to the end product. Probably a good ten to fifteen years; I've always loved a good beer and when I moved over to this wonderful country in 2006 I worked for the “Big Brands” in Woolworths and Coles Liquor. It’s always intrigued me seeing what new products and trends were happening and consumers' opinions on what they were purchasing, whether it be locally made or for a bit of nostalgia. 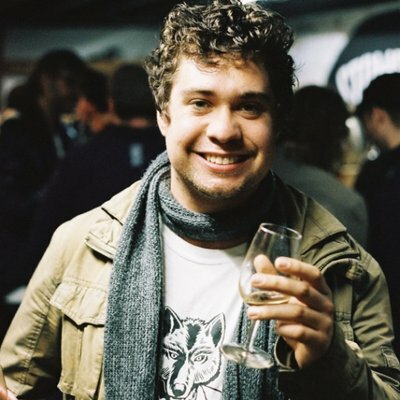 I had the chance to attend the Bledisloe of Beer at Foresters Pub and Dining back in 2015, which was a competition between Australia and NZ's best beers. The 34 taps were all labelled as numbers so as not to give it away and, after tasting that many amazing beers in one session, let's say not only did the music end up sounding amazing but it got me hooked in the scene. I use a few of the available applications out there like Untappd, Tasting Table and RateBeer but mainly these days to see what others are drinking, if any events are coming up and also where to source particular beer. I tend to save any upload or check-ins for when I’m not in others' company so I’m not missing out on the time we have together drinking the beers. I’m a fan of all beers and styles; I'm a “brew for the mood” type of dude. whether it be a big, hoppy IIPA or a refreshing peach sour. 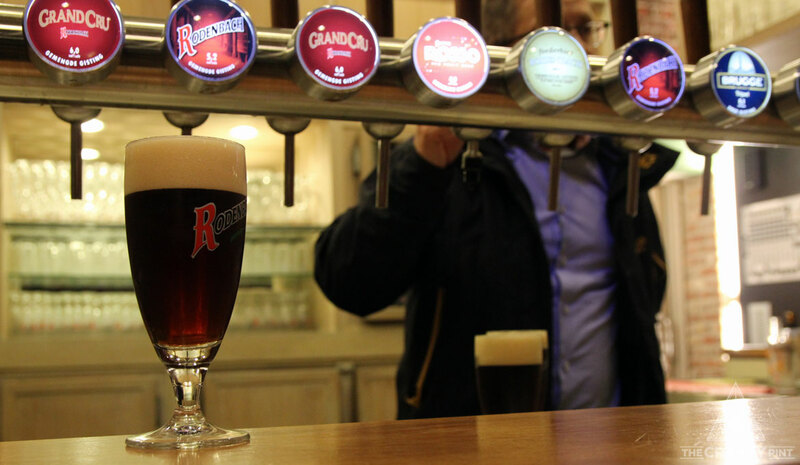 I’m very interested in complex beers which I know take time to brew and also undergo barrel ageing, such as Hawkers' Barrel Aged Series, Bridge Road's Mayday Hills Range and Rodenbach Flanders Red (pictured below) – all amazing beers with such dedication and patience gone into making them. Warm beer on a hot day. I have a "don’t hate but appreciate" mentality; as I see it, one person's longneck of Melbourne Bitter is another person's Cantillon Iris and if both those people enjoy what they’ve got, then good on them. I’ve worked it out to about four blankets' worth. Looking in my kitchen,I've counted 20 different types of glasses I use for beers and I know there’s a couple of boxes hiding in the garage: they’re just so collectable and fancy. I have turned my sunroom into the brewery/bar/peoplecave. The little one's usually running around in there helping me out or watching the rugby with her sippy cup, whilst her dad pours from the Keezer or grabs a brew from the beer fridge. Oh, beer. How I love thee. Over 1,500 for sure; I've been able to achieve this by working in the industry, attending tap takeovers, different mixed six-packs or cases and through volunteering at events and such – and the great beermunity. I like to give back and appreciate all the hard work brewers and their teams go through, not only to get the products out to us but also to create great atmosphere at these events whilst usually sacrificing their own time. So if I'm able to help I’m usually first to chuck a hand up :-) Can pour a beer. Too much – that's why I'm homebrewing now and keeping this answer pretty minimum so my Minister of War and Finance doesn’t summon me to the war room and dining table. I have a few I’d like to tick off the “Beerket List” from certain places around the world: US, Europe and Aotearoa. To follow Haydz's beer adventures you can check him out on Instagram here. You can read other Beer Nuts Q&As here and if you'd like to nominate someone for a future feature, get in touch.